Recover Emptied Trash Mac Now! If you are having a similar problem, please don't worry. For users who don't know how to restore files from emptied trash on Mac, it can be a real disaster! but it doesn't matter! On this recover emptied trash Mac tutorial, we will introduce you to the working principle of the Mac trash and how to recover trash on Mac. Is it Possible to Recover Emptied Trash on Mac? The Mac trash is actually one of the system folders in the macOS system, mainly used to store the user temporarily deleted files. It is a special folder and is hidden. When you delete files or folder, they will remove in the trash bin, but still takes up space on the hard drive. Only emptying the Mac trash can actually delete the files or folder and get more disk space for the Mac. However, the data have not been completely purged, because the macOS system is changing the tags of these files in the file table so that the data entry won't display in your Mac. They are still on Mac disk waiting to be overwritten by new data. For the average user, they will disappear completely. But don't worry, we can use the Mac trash recovery tool to help you recover deleted files from trash on Mac even emptied it. For a better data recovery from the trash, please perform recover trash on Mac as soon as possible. If these files are overwritten by new data, then we will never find them. Want to restore empty trash on Mac? Because we can't see these lost files, so you need a suitable tool to help you. 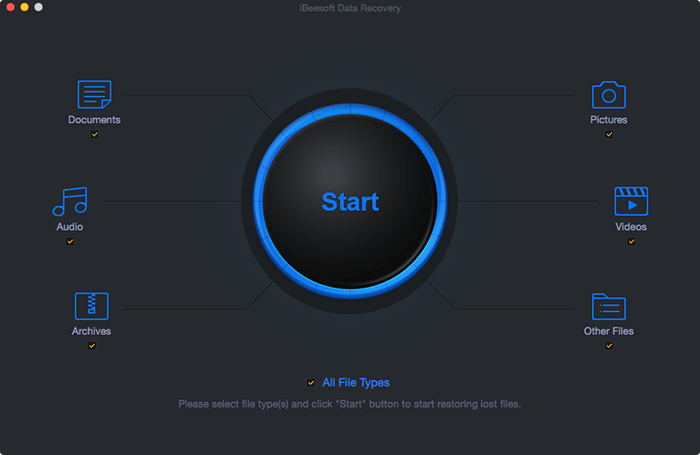 The iBeesoft data recovery for Mac is a good choice for you to quickly and completely to recover files from emptied trash on Mac in a few simple clicks. With it has a powerful file recovery capacity, the best recover trash Mac software can effectively to recover files from Mac hard disk/volume, SSD, SD cards, external hard drive, USB drives or other drives. It can recover almost all files from emptied trash, like documents, photos, videos, music, audio, emails, archives, and other files. 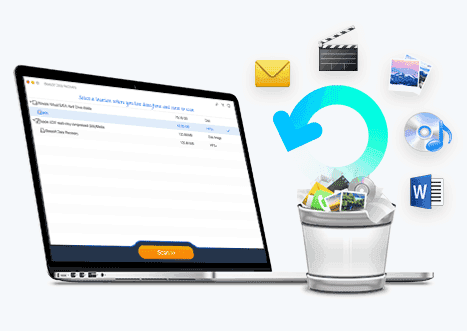 This Mac undelete program can fully recover files from trash on Mac after emptying, deleted files with 'Command + Del' key, accidentally deleting files or folder, formatting hard disk/volume or other drives etc. It can fully compatible recover emptied trash under macOS 10.14, 10.13, 10.12 and Mac OS X 10.11, 10.10, 10.9, 10.8, 10.7, 10.6. 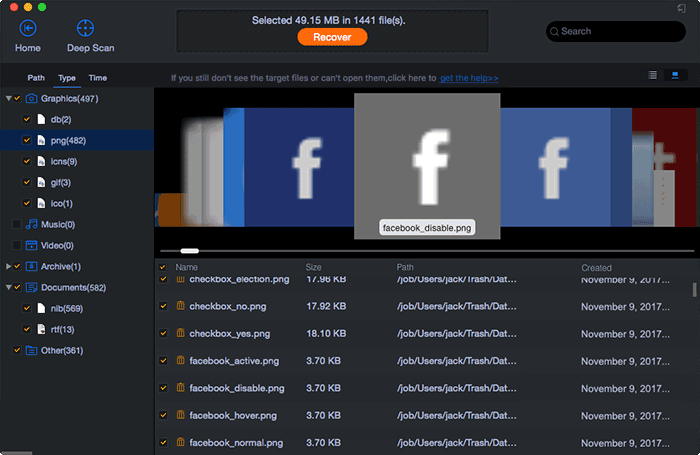 This is a professional program can easily recover deleted files on Mac after emptying trash. You can download it and free try the guide below to do emptied trash recovery Mac with simple steps. Step 1: Download and launch trash recovery Mac utility. And then, please select file type(s) of you want to restore and click "Start to search for all emptied trash data on Mac. Step 2: Select your macOS disk or volume and and click the "Scan" button to recover emptied trash on Mac. Step 3: After the scan completed, all the find files will be listed. You can filter what you need from the scanning results according to the file type. 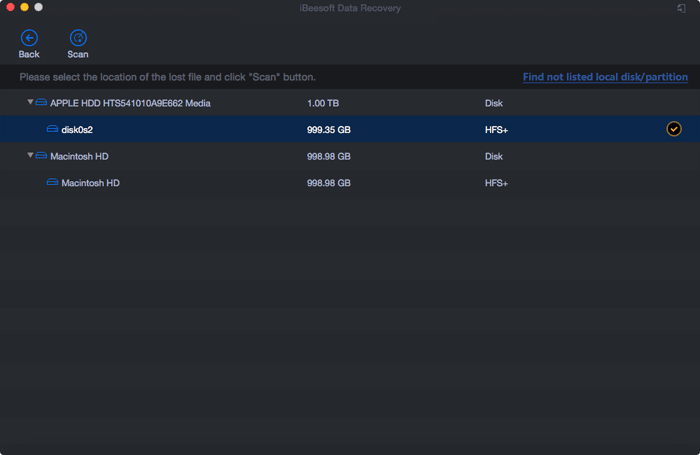 Then, click "Recover" button to recover trash on Mac.